The view of the vast Annapurna massif from the town of Pokhara in Nepal is arguably the most famous mountain panorama in the world. Extending for 34 miles, the massif includes Annapurna I, at 26,545 feet the 10th-highest mountain in the world, plus 13 other peaks over 7,000 meters (22,966 feet). Pokhara is famous as a base for trekkers and mountaineers and also for the glassy expanse of Phewa Lake in which the giant snow peaks are often reflected. 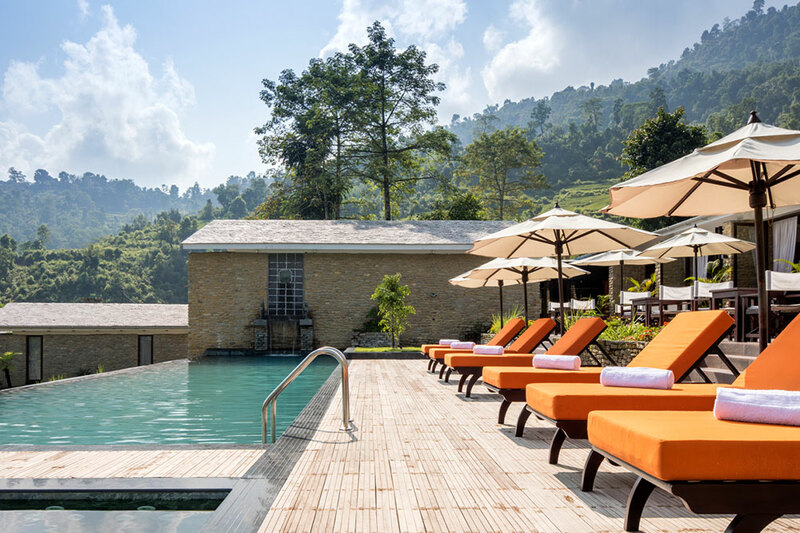 Late 2015 saw the opening of The Pavilions Himalayas, a resort of 14 villas situated on an organic farm. This property has now been joined by The Pavilions Himalayas Lake View, which comprises eight tented villas, appointed with handcrafted furniture. The clubhouse offers both Nepalese and international cuisine, and wellness treatments are available. The camp can be reached by boat across the lake or after a spectacular three-hour hike. The stated aim of the property is to enable guests to reconnect with nature, without sacrificing any creature comforts.